© 2011 Peter Lillis. All rights reserved. 12 Sep Post by Peter Lillis Filed under Most Popular Hairstyles in History. Tagged beatlemania, beatles, george harrison, jaime winstone, john lennon, jurgen vollmer, moptop, paul mccartney, ringo starr, rockabilly, tony curtis, umlaut, zac efron. 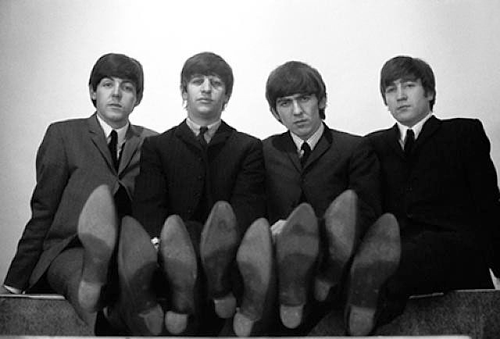 The Beatles are arguably the most influential gang of four in the history of popular culture. Flashes of their brilliance are still found across music, film and fashion to this day. So it’s not surprising that their revered “moptop” hairstyle is one of the most iconic of the last 50 years. Legend has it, the inspiration for the “moptop” came from Jürgen Vollmer, The Beatles’ first official photographer. As John Lennon documents on The Beatles Anthology, upon exiting a local pool, Vollmer, then a student at Hamburg’s Institute of Fashion, let his hair fall over his forehead. He and Paul insisted Vollmer cut their hair in the same fashion. Eventually, Ringo Starr and George Harrison followed suit, and an icon was born. 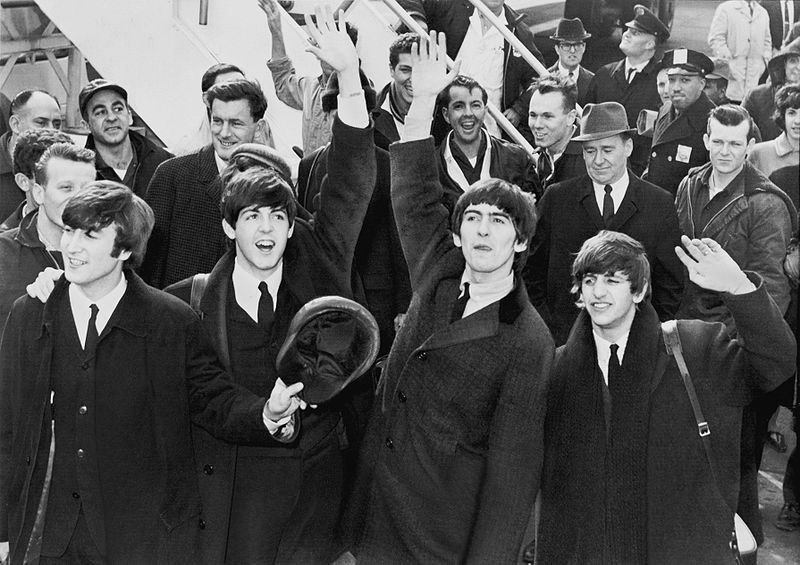 By the time The Beatles came to America, Beatlemania was everywhere. The moptop served as an excellent foil to the Tony Curtis, greaser-esque rockabilly style that came before, seen in the header photo above. And it wasn’t just the hairstyle that set them apart – The Beatles’ attire paved way for a new direction in fashion. As shown in the photo, while the young men wore a loose-collared shirt with a jacket, The Beatles made their mark with a 3-piece suit, tie and a white shirt. The boyish charm, playful attitude and cohesive presence The Beatles portrayed was more than just a style: it was a statement. The British Invasion, led by the Fab Four, marked a sea change in the world of pop culture. Just like they changed global understanding of pop music, The Beatles left a resounding mark on hairstyles forever. Today, the moptop exists in multiple variations. British actress Jaime Winstone channeled her inner Beatle with her more feminine take on the classic look. 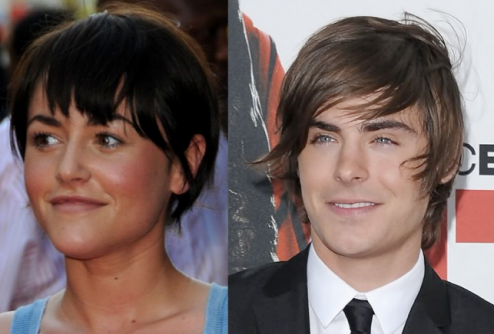 Zac Efron sported the swept-over look during his high school musical days. The significant length of the moptop broke barriers and allowed men to be more comfortable with longer hair, eventually guiding in the extreme lengths of the hippie era and beyond.